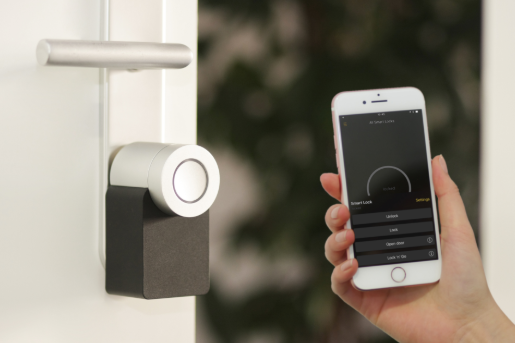 Digital door locks can be accessed in many different ways, including a Bluetooth, PIN, biometrics, and a keypad. Some electronic locks come with a warning alarm and automatic lock function, particularly if the door isn’t closed or locked properly. There are also door lock models that enable you to set it to open at a specific time or day or open the electronic lock remotely. Typically used in big institutions such as schools, offices, and hospitals, digital door locks is one of the best ways to maximize security and convenience in a designated area. In addition, these type of locks doesn’t require keys to unlock or access. All you have to do is to input the correct PIN or open it remotely and you should be able to access it with little to no effort. Since you don’t have to bring a large set of keys to electronic door locks, this eliminates the need of having multiple keys to access different areas of a building. Also, misplacing your keys will never be an issue anymore. Digital Locks: How do they work? Once the motor has received the right electronic input, the digital door lock will then be configured to begin motor-driven actuators and then open. That means you have the power to lock and unlock your doors even when you are away from home or office. But before you decide to purchase one, don’t hesitate to reach out to a professional locksmith first. After all, they know more than you do when it comes to keys and locks. Always check if the electronic locks are compatible with your door as some of them aren’t suitable for heavy doors. Also, other digital door locks are only meant to be used indoors. With electronic door locks, getting locked out or misplacing your keys will never be a problem anymore. Also, since some digital locks come with a feature that allows you to track who enters and exits the door, this will make it easier for you to prevent unauthorized access and unexpected burglaries. and products that meet your budget range. ones that you can trust.